Flows that are registered in the service catalog can be executed by users outside of the portal, but still be controlled with the same access rules and permissions. 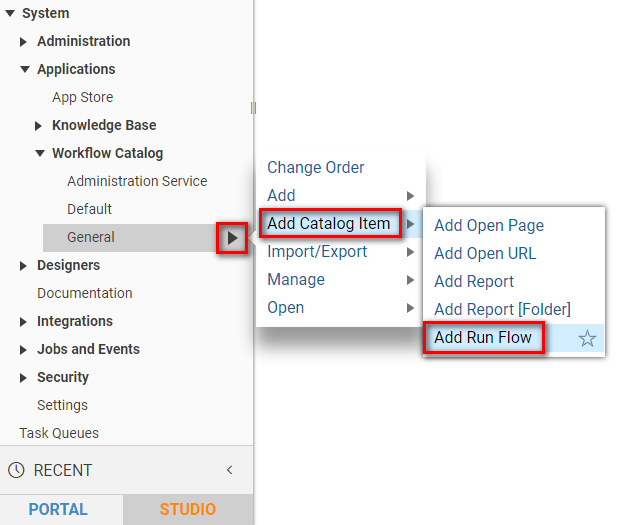 To add a flow to the service catalog, navigate to your Workflow Catalog	folder, or Service Catalog category sub-folder, and select Add Catalog Item	from the Actions	menu. 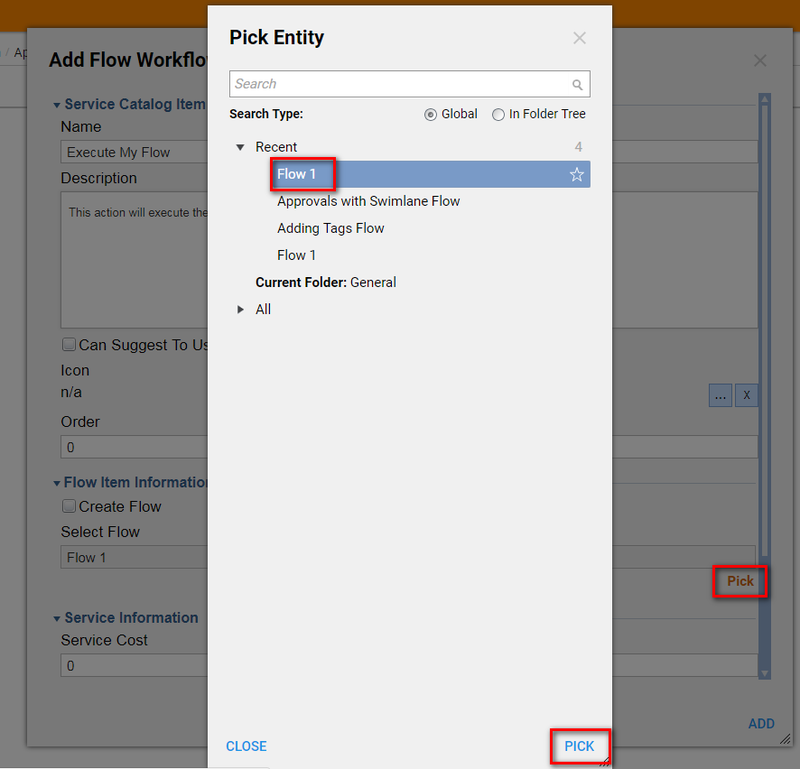 Create a Flow Service Catalog Item. Define the name and flow to be associated with the item. Click the new item in the Service Catalog to run the flow. We'll begin our example by navigating to the General	category of our service catalog at Workflow Catalog > General	. In the General	folder's Action	menu, we will selectAdd Catalog Item > Add Run Flow	. 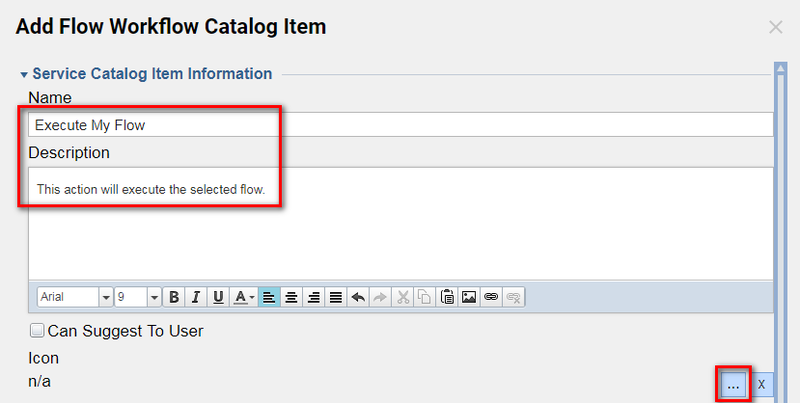 In the resulting Add Flow Workflow Catalog Item window, we will define the properties of our new flow service. Under the Service Catalog Item Information	heading, in the Name	field, we will type "Execute My flow". 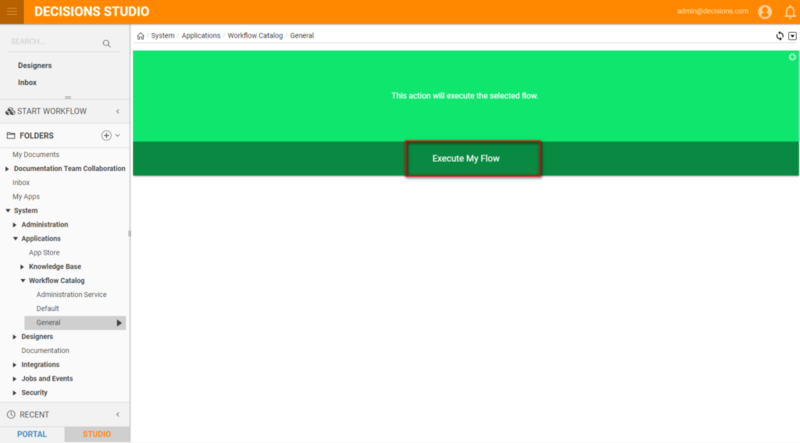 In the Description	field, we will type "This action will execute the selected flow". We could give our Item an Icon by selecting the Icon Picker. Under the Flow Item Information	heading, we will define the flow to be registered as a service. If we wanted to create a new flow to be registered as a service, we could select the Create Flow	checkbox and create the new flow. 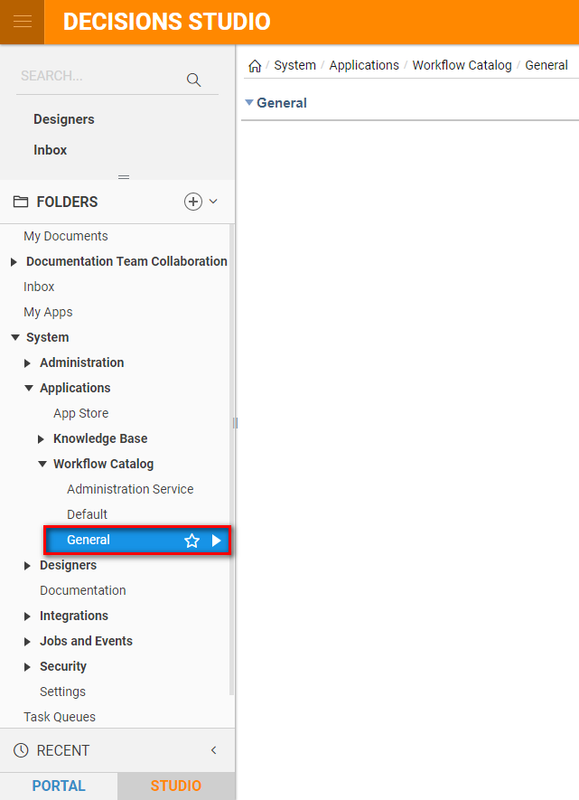 To select an existing flow, we leave theCreate Flow	checkbox cleared and click the Folder Picker and select the flow to be called. 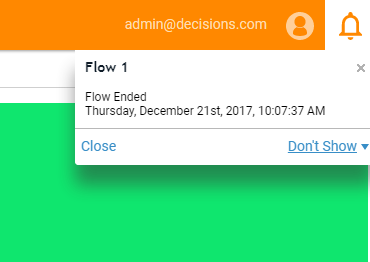 This completes our flow service definition, so we will click OK	.
Back in Workflow Catalog > General	, we will find our new flow service. By selecting the "Execute My Flow" link, for this example, the chosen flow will run.